Before casting off, someone must decide what to take for "vittles and drinks." The Galley Collection offers tried and true recipes to enhance the nautical experience as well as practical tips on creating menus, makings lists, outfitting the galley and provisioning. Recipes for all boats? Yes! Everything from a small ice chest to all-out soup-to-nuts. Only the participants know who has more fun. Cooking is a creative art, with plenty of latitude for experimenting and substituting. 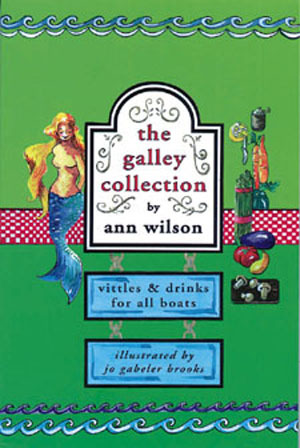 The Galley Collection is your guide to good meals. What better place to enjoy them than on a boat?